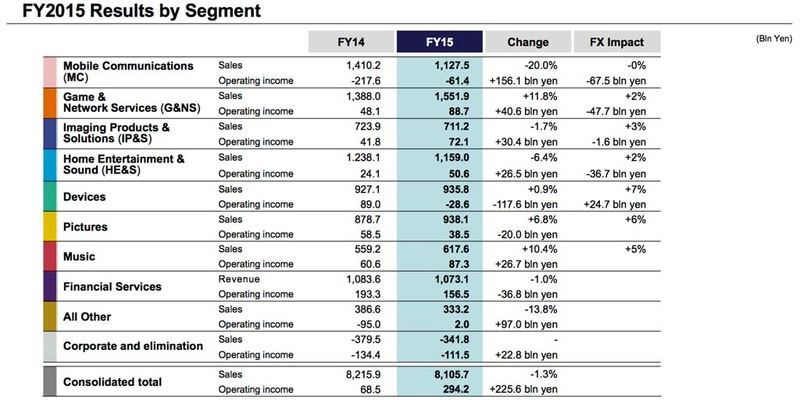 Sony’s financial report is now available and things do not look very good. It appears the Earthquake really hurt Sony going forward and they are unable to accurately forecast going foward. It also seems that this natural disaster might cause Sony to focus more on the sales of their cameras than providing the industry with sensors, which could be go for other fabs going forward. In addition, Sony decided to terminate the development and manufacturing of high-functionality camera modules for external sale, the mass production of which was being prepared at the Kumamoto Technology Center, as a result of a reconsideration of the strategy of this business from a long-term perspective. 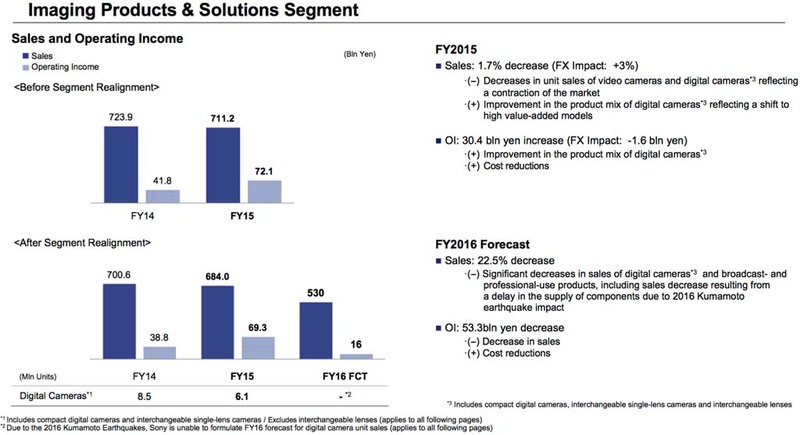 Operating loss is expected to increase primarily due to the negative impact of the 2016 Kumamoto Earthquakes, expenses associated with the termination of the development and manufacturing of certain camera modules and the negative impact of foreign exchange rates, partially offset by the absence in the fiscal year ending March 31, 2017 of a 59.6 billion yen impairment charge against long-lived assets in the camera module business and a 30.6 billion yen impairment charge against long-lived assets in the battery business recorded in the previous fiscal year. 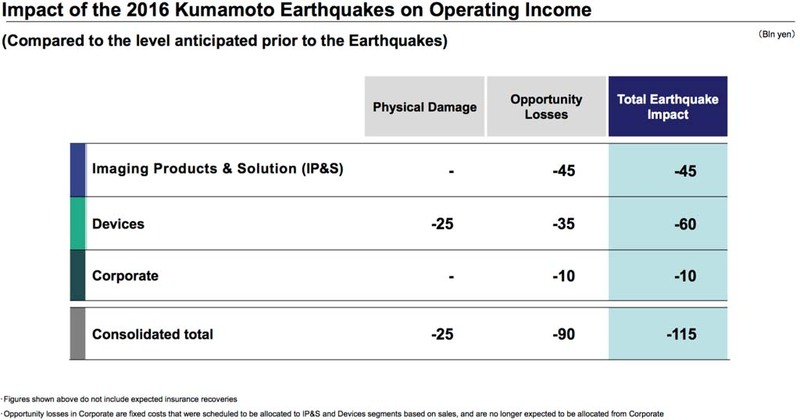 The above-mentioned negative impact of the 2016 Kumamoto Earthquakes is expected to be a total of approximately 60 billion yen, inclusive of opportunity losses resulting from sales that are expected to be lower than the level anticipated before the earthquakes, rehabilitation costs and a decrease in fixed costs allocated based on sales. This impact is expected to be partially offset by approximately 10 billion yen in insurance recoveries for the fiscal year ending March 31, 2017, that are expected to be reflected in the Devices segment. This entry was posted in Financial results, Press releases. Bookmark the permalink. Trackbacks are closed, but you can post a comment.